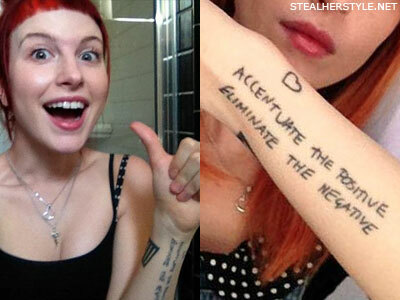 From Halsey to Hayley, meet the artists who inked your favourite musicians. Ever seen an Instagram post of a brand new tattoo and thought "hey, I wonder who drew that?". Well wonder no more as we track down some of the best tattoo artists in the game who have inked everyone from Halsey to Brendon and Melanie Martinez. So, now you'll know exactly who to call when you want to get your next tattoo done. Let's meet them shall we? Based primarily at Hunter and Fox tattoo studio in Sydney Australia, Lauren has built up a huge web following thanks to her regular posts and updates of her work. 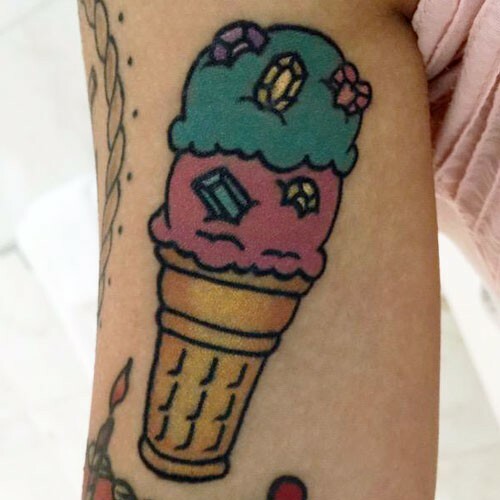 Lauren inked four of Melanie's most famous tattoos - the ice cream truck on her upper left arm, the doll in a rabbit costume on her left arm, the blue balloon dog and an ice cream cone - all of which were done in June 2015. Other famous clients include Miley Cyrus while Katy Perry and Hayley Williams are also fans of her work. 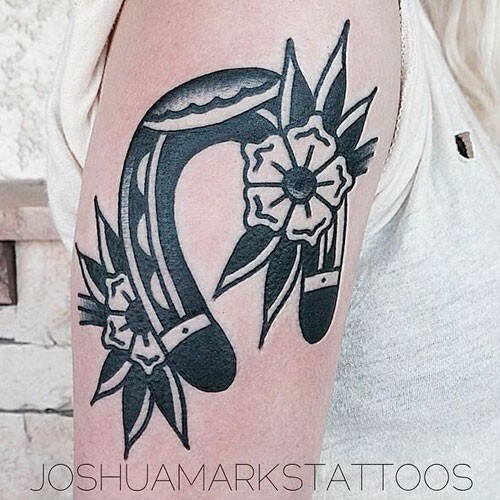 Joshua is based in Southern California at Envision Tattoo and is the designer of Halsey's famous reversed horseshoe tattoo. His style is often cartoonish in nature and his more recent work has been the subject of coffee table books and even a short film documenting his process. Richie has been responsible for the majority of Brendon's tattoos including his famous Frank Sinatra. He largely works out of Renaissance Studio in California and has been tattooing since 2010, having got his first piece of ink done at just 15 years old. He is also a passionate musician, performing in various bands and working as an engineer and recording in his home studio "The Underground Studio". Just thought I'de post this pic again. It's an oldie but goodie. Originally from Middlesborough in North England, Dan moved to New Zealand at the age of six. 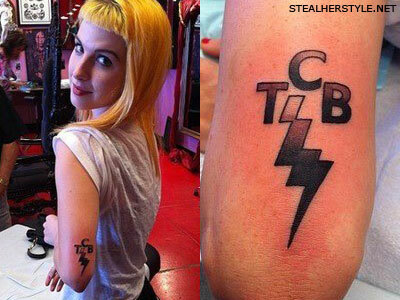 After establishing himself on the tattoo scene, he was invited to work at Kat Von D's famous shop in California where he did two tattoos for Hayley Williams, her TCB Lightning Bolt in 2012 and an "accentuate the positive" motto on her arm in March of that year. 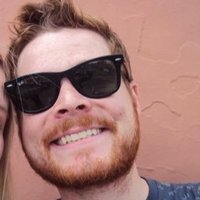 Dan is now based on California and running his own shop, Captured Tattoo. So, which artist would you get your ink from guys? Let us know below.